Published on August 9, 2017 in Events. 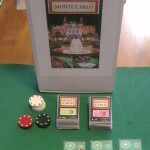 0 Comments Tags: Banishment, Dark Mirror Games, event, launch, tabletop games. 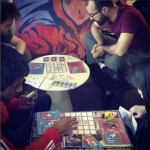 Celebrate the release of a locally made demon-denouncing card game, Friday August 25, with the Banishment Launch Party. Host by Dark Mirror Games, folks who supported the game on Kickstarter can pick up their copies, or if you have yet to try it out now is the best time to get in on the otherworldly action! For more details, check out the official facebook event. You can also head to the Dark Mirror Games website to find out more about this exciting game of rituals and unruly demons. Published on July 24, 2017 in Events. 0 Comments Tags: event, The Page. Interested in interactive writing? 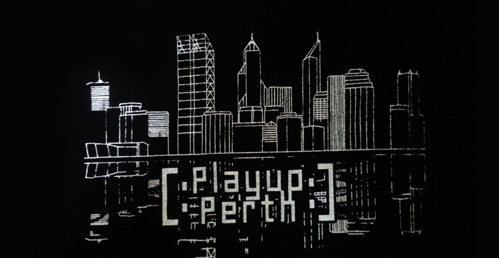 The Page is a Perth-based meetup for writers, narrative designers and creatives who are involved or interested in games and digital storytelling. Their next event is on Saturday, August 5th and the theme of their discussion is “Repeats”. Remakes, remasters, sequels, prequels – it’s obvious gamers love playing in familiar worlds. But should we be encouraging return play? As developers, are we required to continue supporting a game after it has had it’s run? Are new projects and new worlds really where the excitement is? And why are we as creators drawn by the allure of creating something brand new? The Page is open to all practicing writers and enthusiasts. For more details, head on over to the August Meetup event page. You can also stay up to date with their plans and all things narrative via their main Facebook page. Published on July 18, 2017 in Events. 0 Comments Tags: event, Level One, Scott Ludlam. 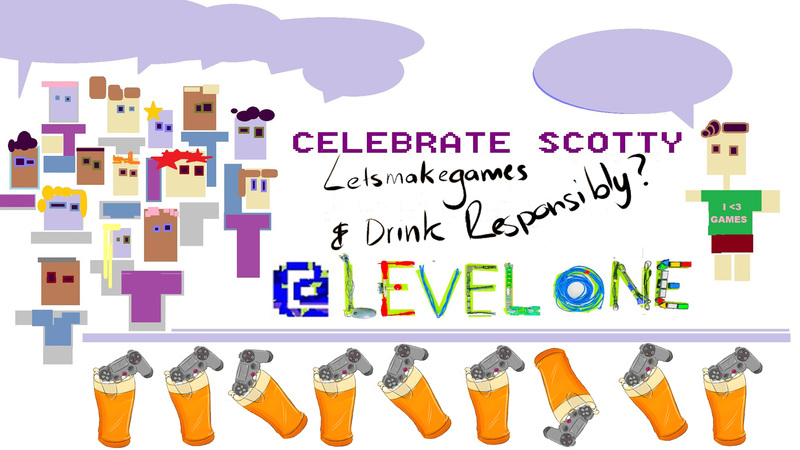 Let’s Make Games will be running our first sundowner event at Level One this Friday July 21st, (un)officially titled “Let’s Make Games and Drink Responsibly.” This event is the start of a series of casual, semi-regular meetups where developers can come along, share a drink and chat without the need to do any work! 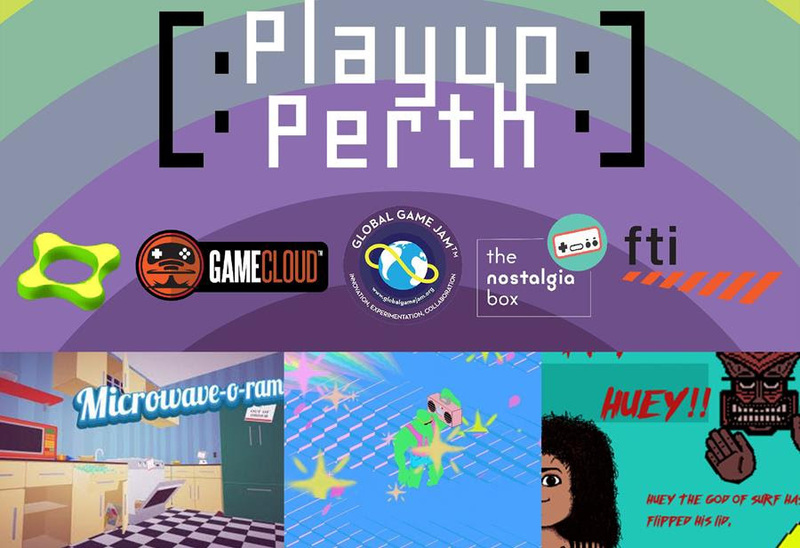 Set to run on the third Friday of every month, these meetups will be happening from this point onward unless a Playup Perth event is scheduled to run. Celebrating Scotty: Due to Senator Scott Ludlam’s recent decision to step down from the Federal Senate, we will also be taking the opportunity to celebrating his career to date. Ludlam has been a champion for the Australian games industry, and a driving force behind the Inquiry into the future of Australia’s video game development industry. Where: Level One, 48 Lake St Northbridge. When: 5pm – 8pm, Friday July 21st. What to Bring: Some drinks if you want them, there are liquor stores nearby but please don’t over-do things. This event is being run with thanks to the support of Stirfire Studios. Published on June 22, 2017 in Events. 0 Comments Tags: Epic Games, event, Let's Make Games, LMG, SAE, Unreal Engine, workshop. Let’s Make Games has teamed up with Epic Games to bring two free workshops on Unreal Engine to you! Hosted by SAE Institute Perth, these events are designed to introduce you to using Unreal, as well as run through how you can get started creating virtual reality experiences with it. No laptop necessary – just come along, take some notes and hang out with excellent industry folk. This introductory tutorial assumes participants have rudimentary 3D game development expertise, but no prior experience with UE4. You will learn the basics of creating a game from starter content using the UE4 Blueprint visual scripting system. Blueprints are easily leveraged by all game development disciplines, so artists, designers, and programmers are welcome. You will learn the basics of creating a VR project from starter content using the UE4 Blueprint visual scripting system. Blueprints are easily leveraged by all game development disciplines, so artists, designers, and programmers are welcome. Topics we’ll cover include: project setup, VR peripheral setup, building materials for VR, VR character setup, using the slice tool and configuring UI for VR projects. We will also cover design principles and VR performance optimization techniques. For more information, visit the event pages for Introduction to Unreal and Getting Started in Virtual Reality with Unreal Engine. We hope to see you there! Published on April 12, 2016 in Events. 0 Comments Tags: AR, event, VR, workshop. For those interested in expanding their technological repertoire, there is a series of Augmented Reality & Virtual Reality Workshops on this week as part of the City of Perth’s Innovation Month. The spaces for each workshop are limited, so be sure to register! For all the details on this curious world of VR, AR and underground tunnels, head on over to the Eventbrite page. Published on February 17, 2016 in Events. 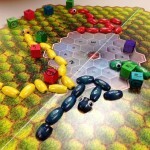 0 Comments Tags: coworking, event, FTI, Level One, SK Games. After a successful twice-month pop up co-working event that launched in April 2015, FTI has partnered with local game studio and events company SK to turn LEVEL ONE into a permanent co-working space. LEVEL ONE is co-located in SK’s West Perth Studio at 167 Fitzgerald Street and is open Monday to Friday 9:30-5pm, with 24/7 access available. Introductory pricing starts at just $10 a day for hot desks and $65 a week for permanent desks. For more details, head on over to the Level One announcement page. Published on April 9, 2014 in Events. 0 Comments Tags: Bush Bash, event, Gun Dash, launch, SK Games. The folks at SK Games may have only crashed onto the Perth scene recently, but they have certainly made an impact. The studio’s website is now officially up and running, providing not only updates on their latest Bar SK shenanigans, but also allowing you to download their Gun Dash game for free. This weekend SK will be running their final backyard bar event before the rains begin. As per usual there will be a host of cool folks to chat with and a collection of cheap drinks to choose from. This time round they will also be launching their latest title ‘Bush Bash‘, a car game housed in the huge metal carcass of a real car. Where: SK Games. 167 Fitzgerald St, Perth. Cost: Free! Max capacity 75 people. For more information of the Bush Bash event check out the official Facebook event. Otherwise you can keep up to date on latest SK Games happenings through their website or facebook page. The Let's Make Games archives for the event tag.